Boasting an immensely talented line up consisting of singers/guitarists Eddie Baird, John Gladwin and Terry Wincott, The Amazing Blondel were easily as talented as fellow English folk-rock contemporaries such as Fairport Convention and Steeleye Span. Unfortunately, over the course of five early-'70s American album, the band never managed to attract the attention lavished on their competition. Part of the explanation may stem from the fact the group remained devoted to acoustic English folk music, largely avoiding rock overtones, sticking almost exclusively to acoustic jigs and ballads until relatively late in their recording career. Gladwin and Wyncott actually started their musical collaboration in the rock band Methuselah (see separate entry). Following its break up the duo decided to continue their partnership as an acoustic duo. Subsequently joined by Baird, as The Amazing Blondel (the name drawn from Richard the Lionheart's favorite minstrel), the group was quickly signed by Bell Records (Chris Blackwell's Island Records acquiring American distribution rights). 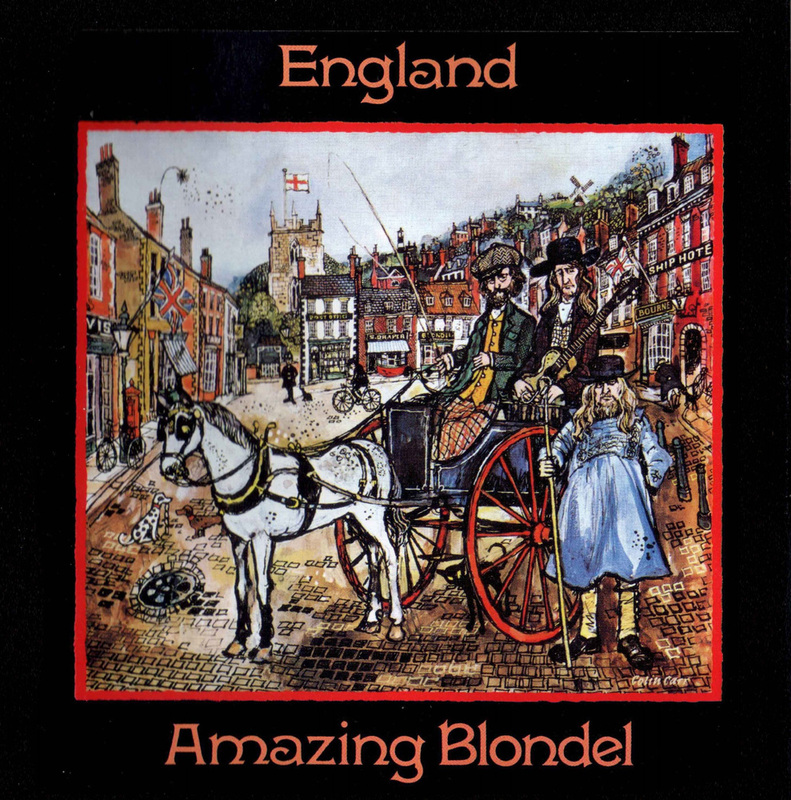 Co-produced by Phil Brown and the band, 1973's "England" saw the trio retaining their interest in English folk, though the set saw a shift to a more commercial sound. That said, with all three members contributing material (Gladwin credited with the majority of six selections) the results were frequently stunning. For us the highlights included Gladwin's beautiful side-long suite "The Paintings" and the group's stunning harmony vocals (check out "Seascapes"). Acoustic material such as "Landscape" and "Cantus Firmus to Counterpoint" was soft, warm and highly melodic. While you couldn't exactly call it rock and roll (thoughts of an evening in an Irish pub quickly come to mind), it made for a great choice to play on a cold winter night, or an early Sunday morning.